Attending Imaging USA, so I’m in Atlanta for a few days. It was raining as I drove to the hotel. 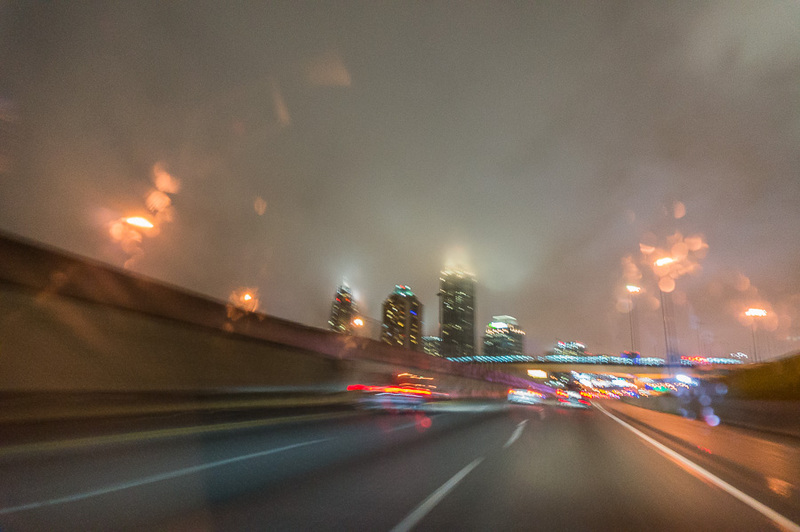 A photo through the rain covered car windshield in combination with the fog adds a very interesting look to the city.